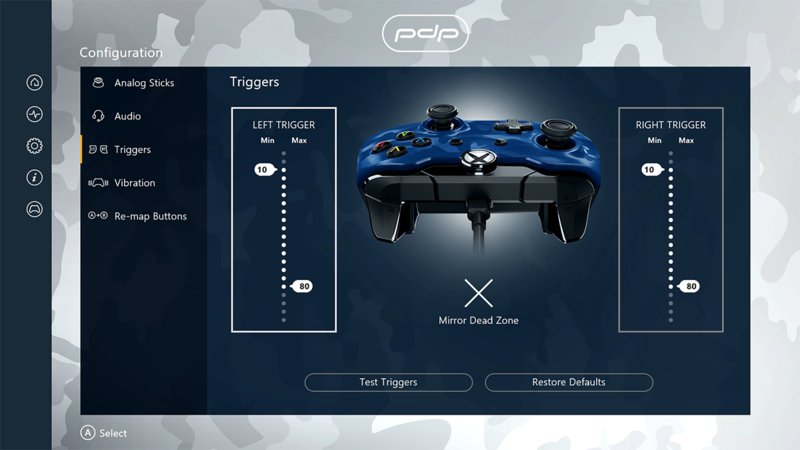 With this one-of-a-kind app, you can easily customize your controller to fit your unique playing style. 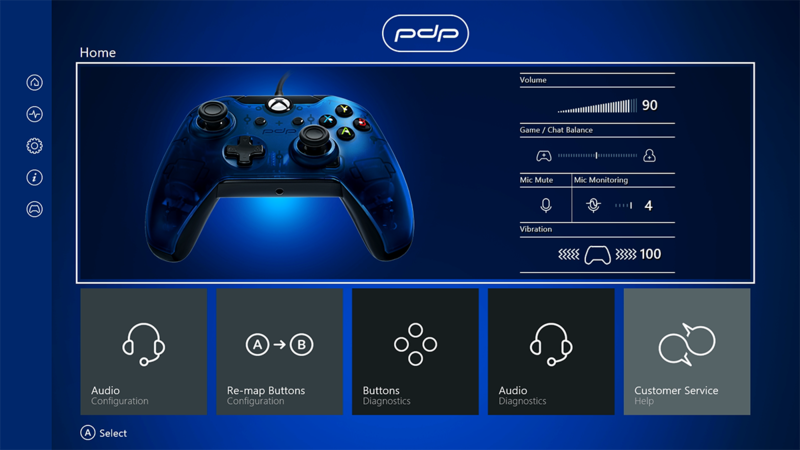 Adjust audio settings, re-map any of the buttons, run diagnostics, recalibrate your analog sticks and triggers, automatically adjust dead zones, and much more! 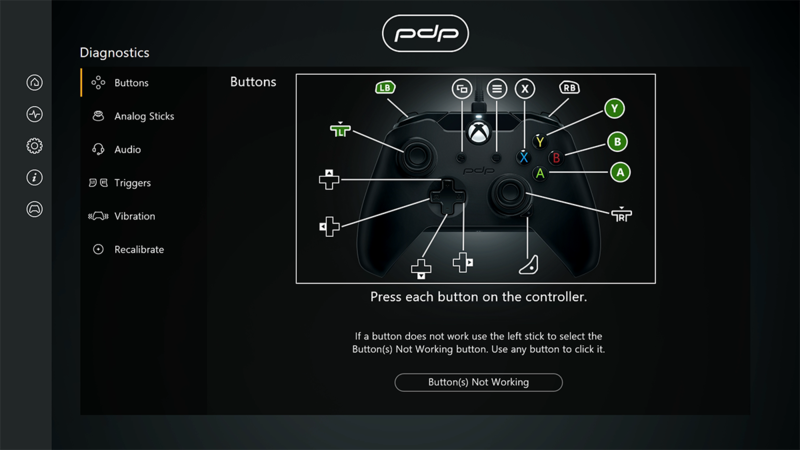 Find the Microsoft Store on your Xbox One system, search for PDP Control Hub, and download straight to your console! 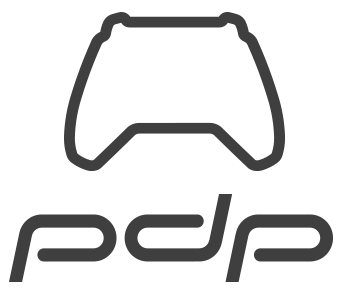 Download here from the Windows Store! 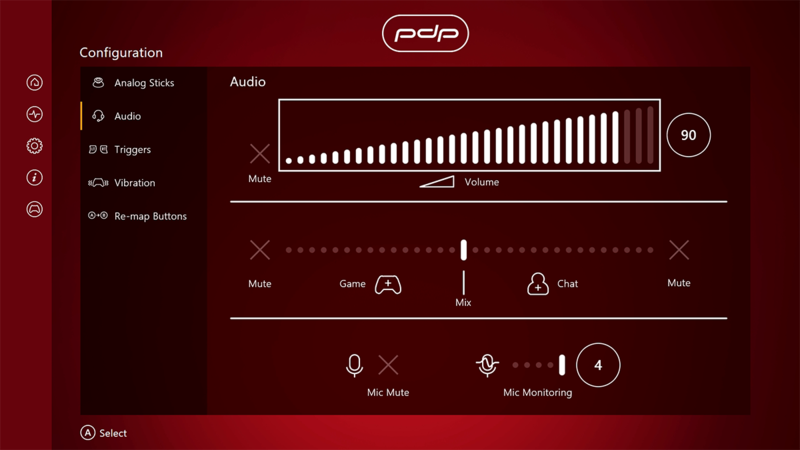 Check out a sneak peek of the PDP Control Hub! Test all parts of the controller including all the buttons, the sticks, the triggers, and your audio connection. 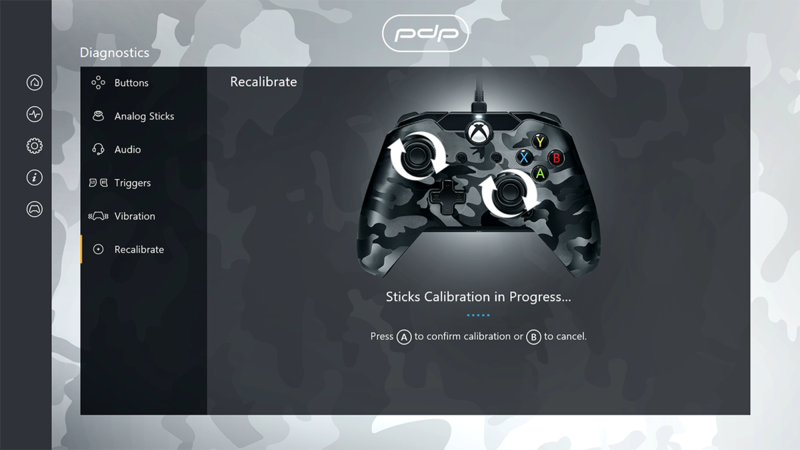 Easily reset the sticks and triggers with the recalibration tool. 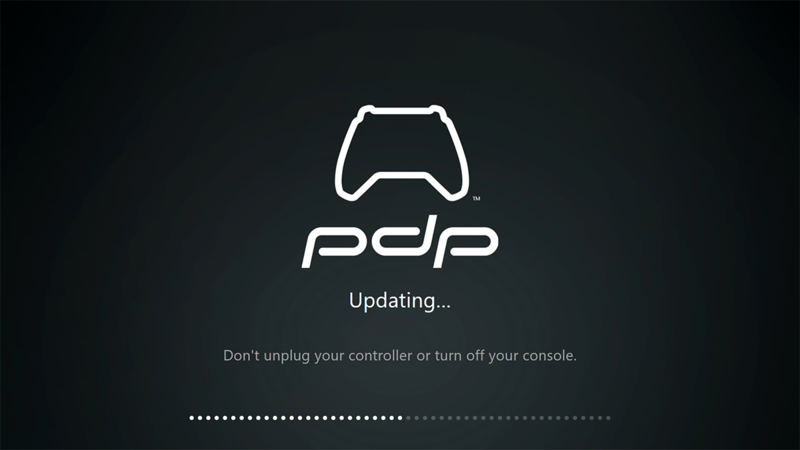 The PDP Control Hub makes sure your controller is always using the latest firmware. 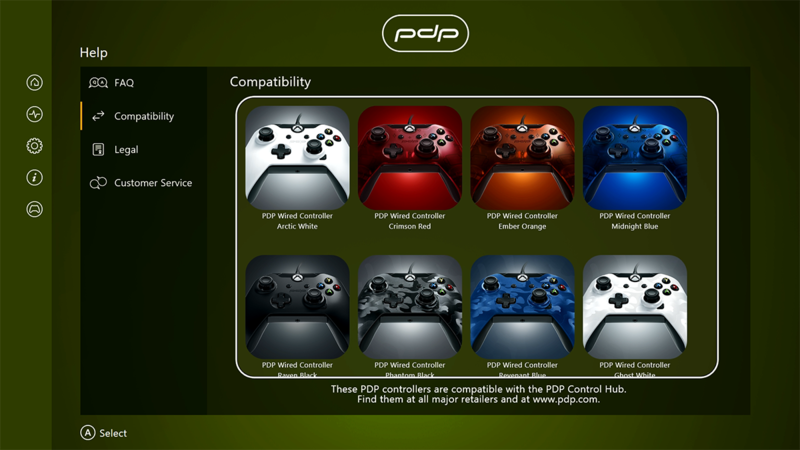 The PDP Control Hub is compatible with the line of PDP Wired Controller for Xbox One. 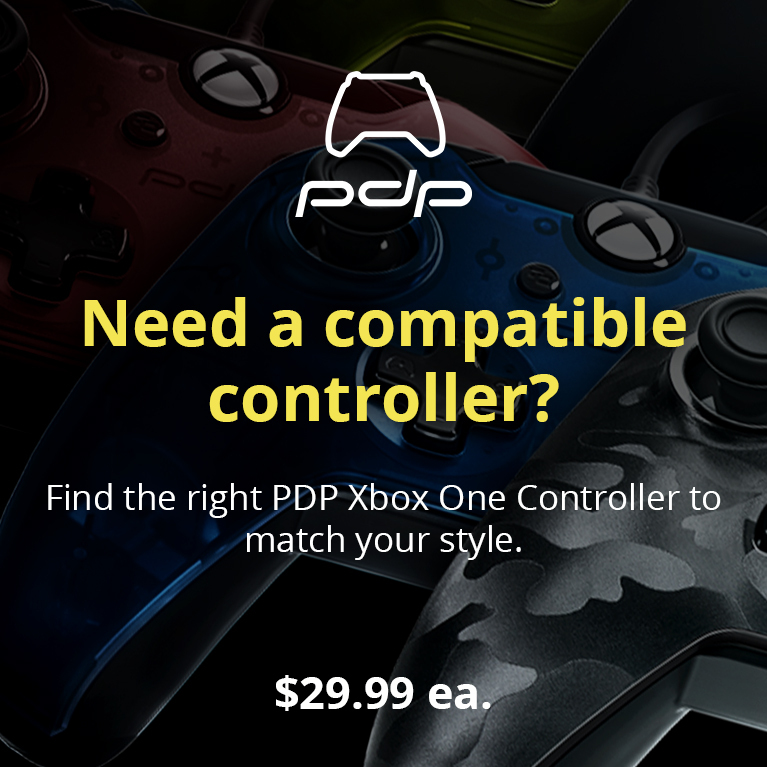 More controller support to come soon!